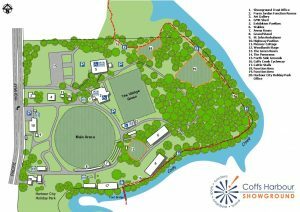 The Coffs Harbour Showground is conveniently located on the Pacific Highway and only a 4km drive from the airport and a 5 minute walk from the centre of town. For those more technologically advanced the GPS coordinates are 30°17’32.62”S 153°07’14.65”E. Great local restaurants are bars are only a short walk away as too are a number of hotels and motels.